It’s no surprise I love my Kipling bags, so when I discovered a Kipling handbag sale started today at Macy’s, I knew I had to share all the details with you here. 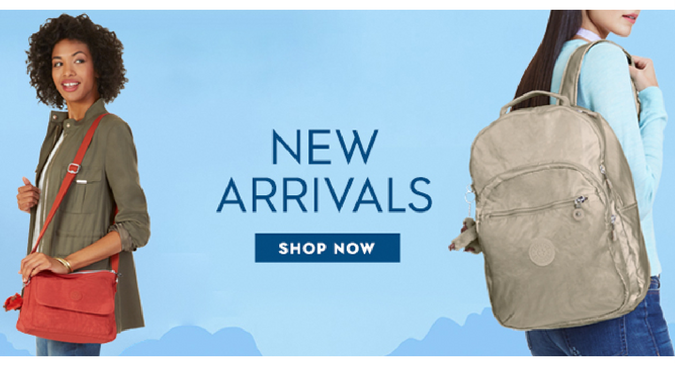 Right now, you can enjoy 25-30% off select handbags from Kipling. And we’re not just talking a few styles; there are a wide variety of bags, backpacks, purses, and pouches to choose from in a variety of colors. Of course, all of them come with that adorable little gorilla we’ve also come to love over the years (did you know that “Kipling” gets it’s name from “The Jungle Book” author, Rudyard Kipling? Hence our furry friend on each bag…). As you can see, some of these Kipling items are even more than 30% off. And if you’re looking for a great deal to add to a bag as a gift, the Kipling notebook 3-pack is 75% off (making it under $5) while supplies last. And if you’re also a Disney lover like me, you better sick down: I just learned that Kipling has created a collection just for Disney fans. That’s right – all our wishes will soon come true! It seems Kipling and Disney have collaborated to celebrate 80 years of Snow White and the Seven Dwarfs. I haven’t heard when the collection will be released just yet but once I do, you know I’ll be sure to share it with you on MagicStyleShop.com.